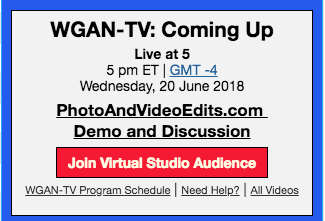 Our guest on WGAN-TV Live at 5 (5 pm ET | GMT -4) Wednesday, 20 June 2018 is PhotoAndVideoEdits.com Founder Colin Forte. If you want to offer video, but do not want to learn how to edit; or, you are so busy editing that you are ready to outsource video editing, this WGAN-TV Live at 5 show is for you. Colin will demo and discuss PhotoAndVideoEdits.com service for video editing. On a personal note, I have known Colin for years. Colin is super-passionate about creating PhotoAndVideoEdits.com to help you succeed faster. Got questions about video editing? Join the Virtual Studio Audience for this show. Reminder: outsourcing is a great way to scale your business. If you editing into the night - instead of spending time with family or friends - this WGAN-TV show is for you. Reminder about today's show on best practices for shooting video (and how to outsource it to be edited). The above show is all about video. 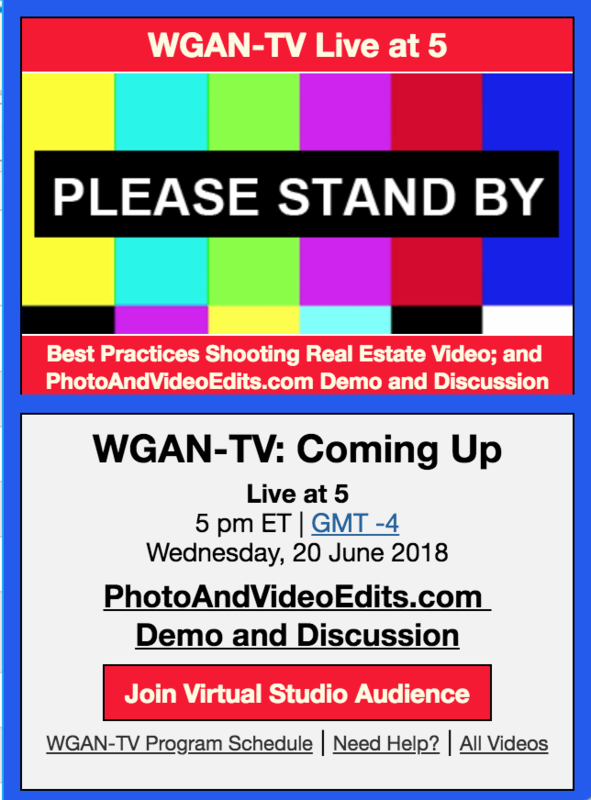 We'll do another WGAN-TV Live at 5 show with Colin on Wednesday, 18 July talking about best practices of shooting photos (and outsourcing photo editing).